The Santander Ultimate Cash Back currently has an Informr score of 7.7 out of 10. This score is based on our evaluation of 7 sources including reviews from users and the web's most trusted critics. 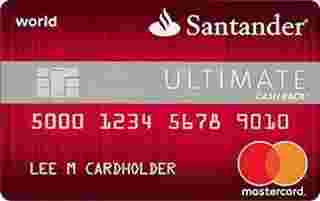 Santander Ultimate Cash Back is typically available to those with excellent credit scores (650 or greater). If you enjoy banking with Santander, this is a solid cash back credit card to have. However, the other big advertising point of this card, having no transaction fees, shouldn’t be taken as a huge benefit. In context, the fees this card waives aren't that helpful to most consumers. An especially good fit for anyone who already does their banking with Santander. This is ultimately a predictable, highly practical card that will work for earning a high rate of rewards for everyday purchases. It works best for anyone looking for generous rewards with little risk or excitement. Getting 3% APR on balance transfers — instead of the customary 0% intro APR — may feel a bit odd. Luckily, the Santander Ultimate Cash Back card offers solid rewards for a flat-cash-back product. You might also like that Santander charges no fees for balance transfers, foreign transactions, cash advances or returned payments. 1.5% cash back on all purchases is simply not competitive in the credit card landscape anymore when you have a glut of 2% cards and some earning up to 2.5%/3% on all purchases. $100 cash sign up bonus is also on the lower end. There are limited options for cards that have no annual fee and no foreign transaction fee so I guess there might be some very limited utility there. What makes it stand out from it’s practically standard rewards and bonus structure is that there’s no balance transfers nor cash advance fees attached. But overall, there is nothing too special about this card.